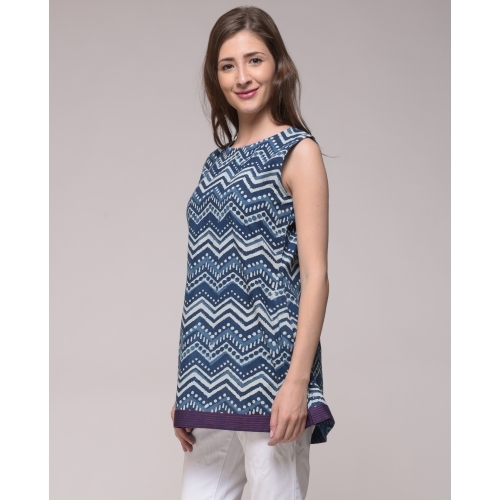 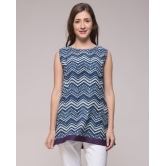 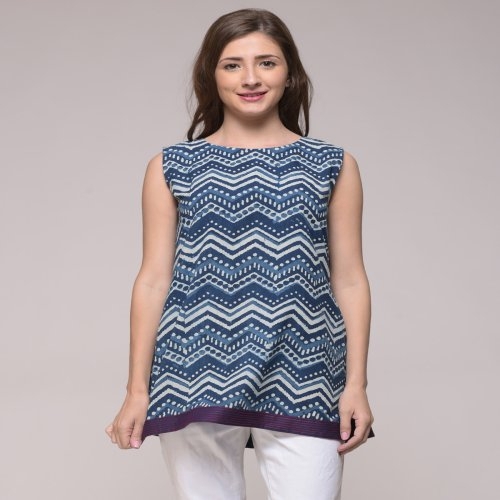 Handcrafted dabu printed indigo dyed chevron top with top stitch detailing makes this top unique and charming. 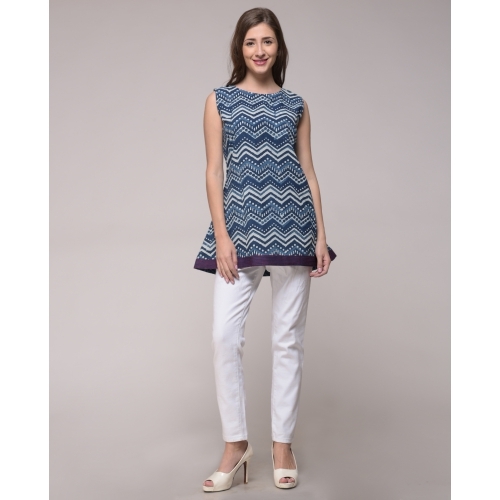 Disclaimer : This product is dabu printed and there might be slight irregularities in color and prints occurring. 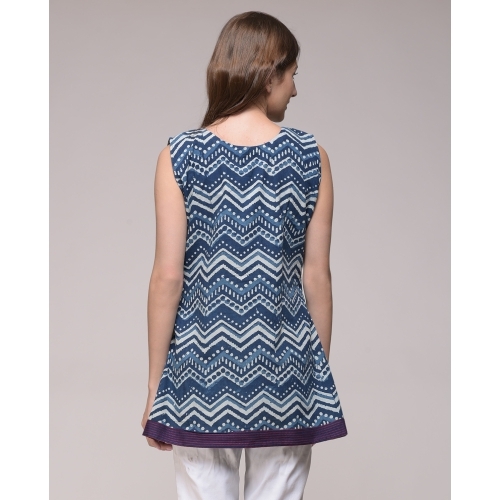 These irregularities are the hallmark of hand printed product and make each exquisite piece one-of-its-kind.